When a roof sheet deflects downwards under point load, the pan of the profile is placed under tension and the crest under compression, but in the adjacent continuous span, this condition reverses. Metal is relatively strong under tension and weak under compression. Because of this, excessive point load will cause failure by compression buckling of the rib. 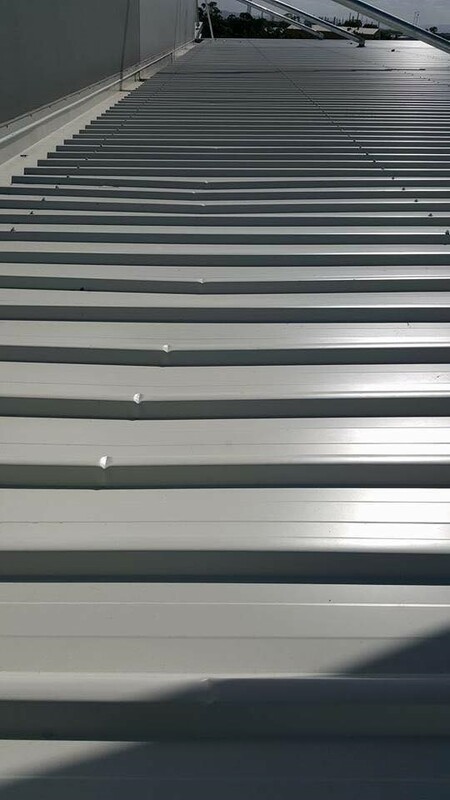 Wherever possible, temporary point load such as roof traffic should be placed with the weight in the pan of the profile, so that the load is shared by the two adjacent ribs, across two ribs, or at the purlin line. Permanent point load should be placed across multiple ribs.